You’ll be able to make dozens of large prints within minutes. The hard disk drives of available models allow you to save thousands of documents, making it easier to reprint documents if necessary. Keeping track of changes made to documents can take up your time and energy. 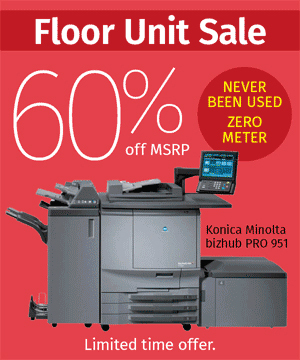 Fortunately, our wide format printers allow you to save both. You can scan markups and on-site changes and save them for future reference. On our devices, you can scan your documents to PDF, email, USB/SD Card and more, enabling you to share them faster and easier. For more details on specific wide format printers, check out our product catalog. If you have questions about our equipment, feel free to contact us.